Ford continues to boost supplies of its redesigned F-series pickup, the top-selling vehicle in the U.S. F-series units in inventory grew by 15,400 during the month to 211,900. Light-vehicle stocks drifted upward in June, a month in which U.S. sales rose 3.9 percent. Inventory stood at 3,589,200 units on July 1, a rise of 64,800 compared with the previous month. Based on the June selling rate, the industry's days supply increased from 56 days on June 1 to 61 days on July 1. Car stocks stood at 60 days; light trucks, at 61 days. 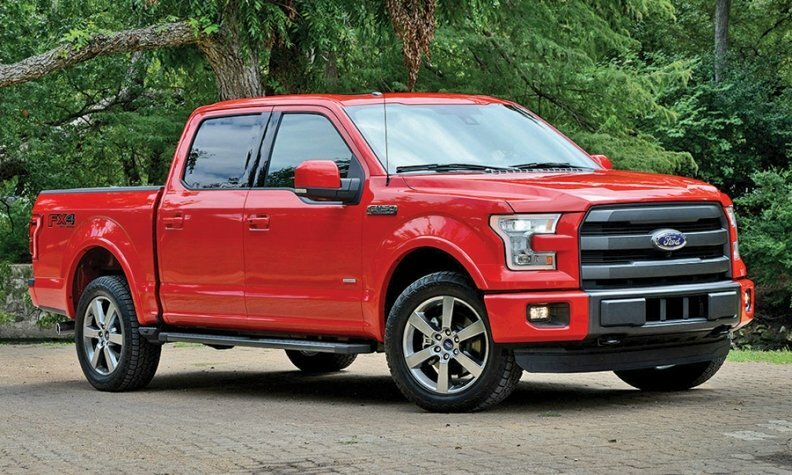 Ford continues to boost supplies of its redesigned F-series pickup, the top-selling vehicle in the U.S. F-series units in inventory grew by 15,400 during the month to 211,900. Supplies of the truck increased from 83 days on June 1 to 96 days on July 1. Overall, Ford Motor Co.'s stocks rose from 62 to 67 days for the month. General Motors' stocks went from a 63-day supply to 70 days on July 1. FCA US climbed from 69 to 78 days. The Ram pickup, with 146,800 units in inventory, went to 110 days on July 1 from 89 days a month earlier. Dodge Dart supplies went from 75 days to 98 days. Subaru's tight supplies rose a bit, from 19 days on June 1 to 22 days on July 1. Among automakers, Mitsubishi continues to have the highest stocks: 89 days, up from 80 days a month earlier. Hyundai division declined in days supply during June, from 60 days on June 1 to 52 days a month later. Cadillac went from 79 days to 77 days on July 1, and Chrysler Division dropped from 69 days to 64 days during the month.